2. By Extending Thread class. But what is the best way to create thread ? In this way, we can inherit some other behaviours from other class and hence this class will have both Thread behaviour and some additional behaviours. with respect to class in Java. In this way, we are restricting our class not to inherit any behaviours from other class. So, having thread feature without restricting our class for inheritance is always good approach and hence implementing Runnable interface wins over extending Thread class in this case. many threads can share the same runnable instance. 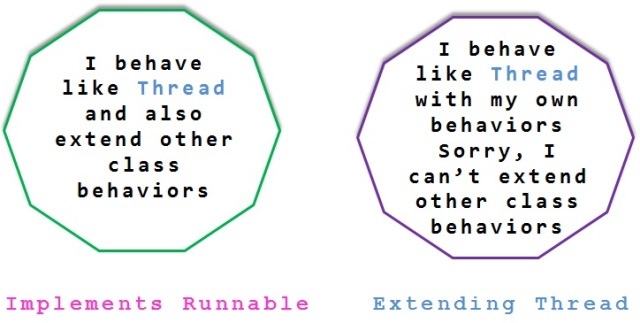 By implementing Runnable interface, we need to create only one runnable instance and pass it to 3 thread objects to run it. Whereas by extending Thread class, we need to create 3 different objects of our class to run 3 threads. 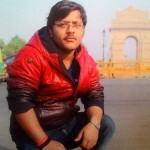 In this way, for every one thread creation, we need to create our Thread class object and this will consume more memory. We will override only “run()” method of Runnable interface and we provide this to Thread class object to run it. In the above case, we are not allowed to override any Thread class behaviour as we are not extending it. In the above case, we have an option to override Thread class behaviours which is not safe as we should not be able to override any other methods of Thread class except “run()” method. Considering all the above points, Our Strong recommendation and best approach to create threads is by implementing Runnable interface.